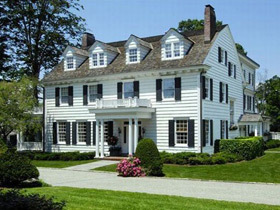 We design and install whole house wireless systems in homes across Fairfield County & Westchester County. If any of these problems plague your system please call us to schedule a free appointment. Do you often lose your internet connection? Do certain rooms in your home or business have a poor signal? Internet is slow and or unreliable? Have your tried to use repeaters, boosters and or powerline adapters and still having problems? If these are some of your troubles, know that we see these same problems at clients homes every day. There is a solution, and you can put these annoying, time wasting problems behind you. Call 203-517-0955 to schedule a Free onsite visit. We will visit your home or business and take a look at its layout and structure, we then can formulate a plan to properly setup your home. Installation usually takes on average about one day, this includes setup and fine tuning. Once completed you will receive a tour and lesson on how your new Whole House Wifi System works. You will have one network SSID, and one password. Now you can wander through your house seemlessly always having a strong reliable internet signal. We pride ourselves on backing our work for 1 year, and we try to leave your property cleaner than when we found it. We take the headache out of Wifi Networks, we've been making people happy for over 7 years with our proven wifi systems. The Whole House Wifi system will add value to your home, not just for resale, but also for anyone currently inhabiting the home.